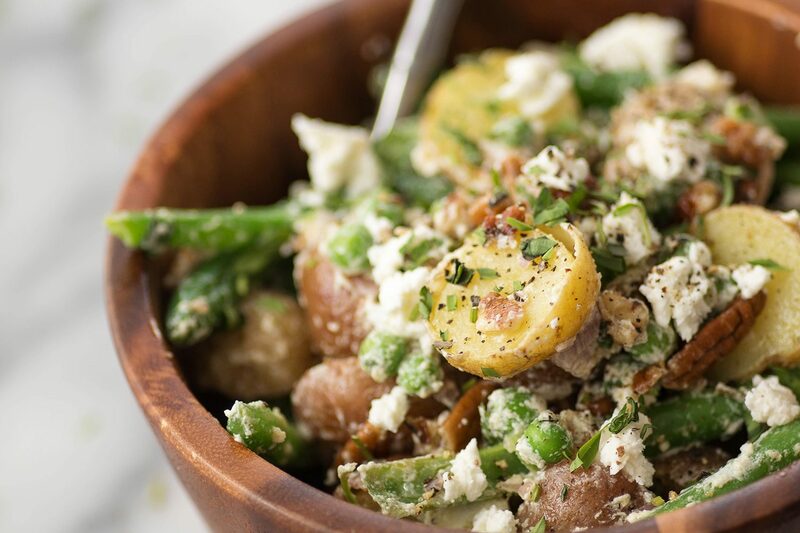 This vegetarian, gluten-free potato salad is a must for spring or summer. It’s tossed with peas, goat cheese, pecans and a yummy maple-dijon dressing. Prepare the green beans according to package directions. Remove from microwave and let cool to at least room temperature. 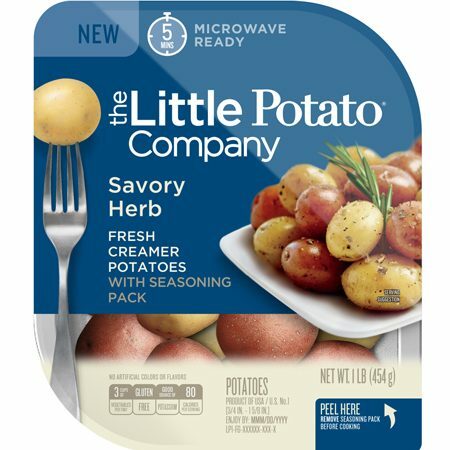 Remove the seasoning packet from the potatoes and set aside for another use. Microwave according to package directions and let cool to room temperature. Halve and place in a large bowl. Add the green beans, peas, shallots, tarragon, pecans to the potatoes in the bowl. In a separate, small bowl, whisk together the dijon mustard and maple syrup. Slowly drizzle in the olive oil and whisk until a dressing forms. Season with salt and pepper. Add the dressing to the salad and toss to combine. Add the cheese and toss once more. Serve immediately or, if serving later, prepare steps 1 to 4 and then add the dressing and cheese before serving.